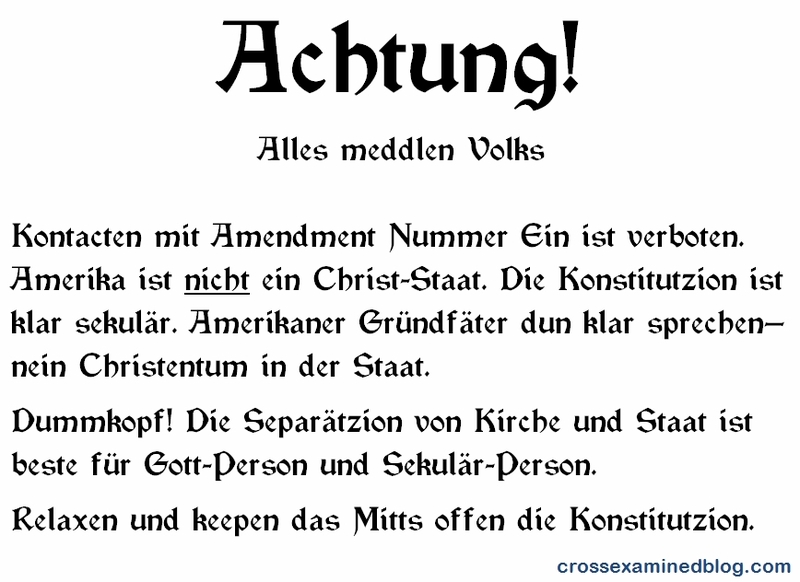 This entry was posted in Humor, Separation of Church and State and tagged Achtung, First Amendment, Mock German by Bob Seidensticker. Bookmark the permalink. Dein Deutches Geworden ist nicht zu pooplich!